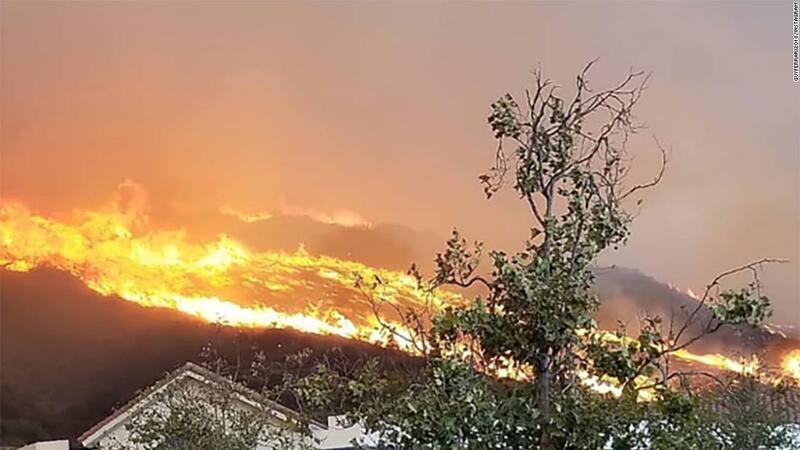 It started in Thousand Oaks, which is about an hour away from here, and it’s already taken 10,000 acres of land. I try not to let it trigger me; I try to see it as one of the many catastrophes that have become a norm in our lives. But, I hear the wind blowing through our mobile dorms, that we’ve lived in since the Thomas Fire, and I can’t help but remember. I remember it all. I remember the red cloud rising up behind the hills. I remember the dorm meeting we had, how they told us that the winds weren’t blowing our way, that we were safe. I remember having to evacuate in the middle of study hall, leaving nearly everything behind without even realizing that it all would be gone the next day. I remember finding out that our campus caught on fire. I remember not being able to leave the house without a smoke mask for days and it always looking like the sun was setting. I remember staring at that bright red sun, hoping for our clean blue skies to come back. I don’t want to be dramatic. It could have been so much worse. But, being reminded of the fact that so much is gone and will forever remain gone and that, right now, there are people going through the exact same horrible thing, isn’t exactly pleasant. Maybe I’m being oversensitive. Maybe I should be realistic and move on. Eventually, I will move on, but not quite yet. For now, I’ll be sitting on my bed, trying to tune out the wind pressing up against my window, staring at my packed bag in the corner.